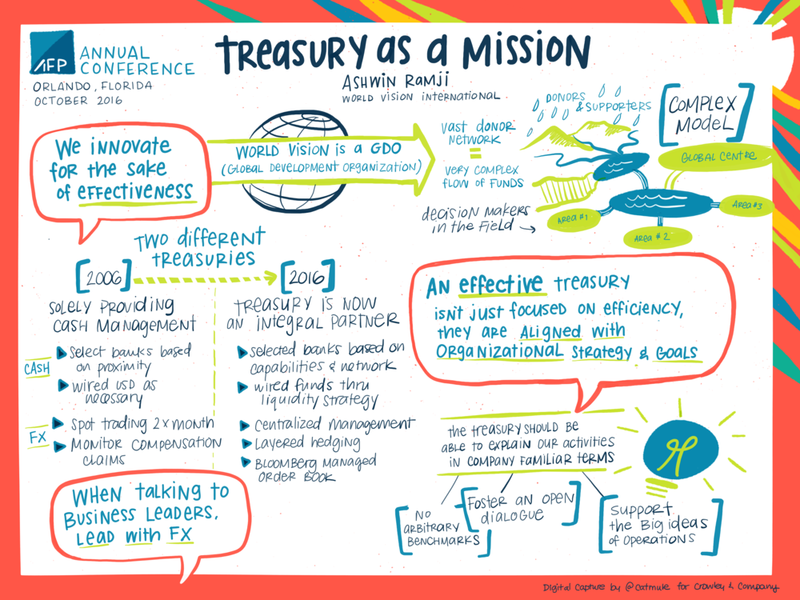 Last fall I provided digital graphic recording and other services for The Association of Finance Professionals' annual conference. This was a particularly fun assignment because in addition to attending the conference and capturing the content of several presentations, I also created a marketing video and was interviewed for the organization’s podcast. All content is available for your pleasure here! This was a fun process, which involved coming up with the final and then working backwards to get to the video. It started with a 60-second script from the conference communications team. 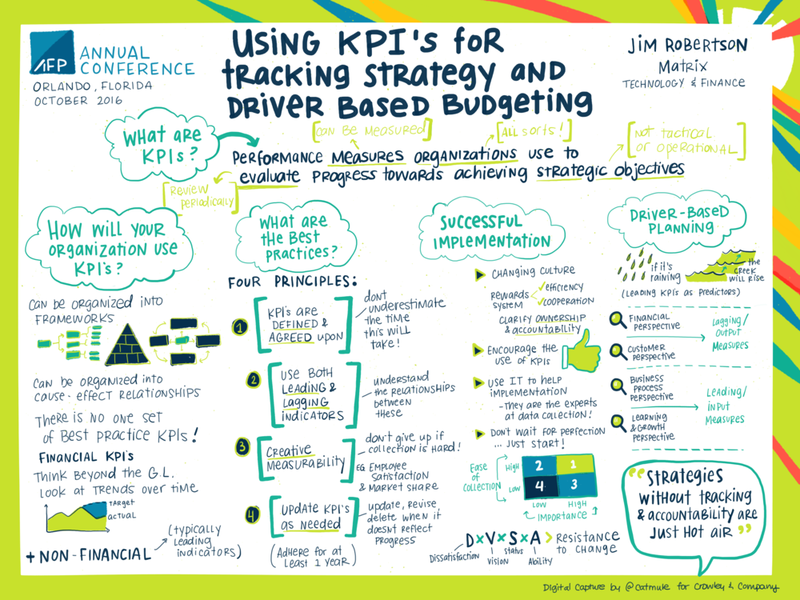 Next, I mapped out a structure for the final visual and used the conference brand colors and visual attributes to create a stylized illustration. I used this as a guide that I then recreated while I recorded my iPad on my screen. Finally, I sped up the process and cut out all of the mistakes in iMovie. The comms team handled the voiceover to save time and money, and thanks to the simple format of screen recording, we ended up with a great video at a significantly lower cost than a traditional animation. 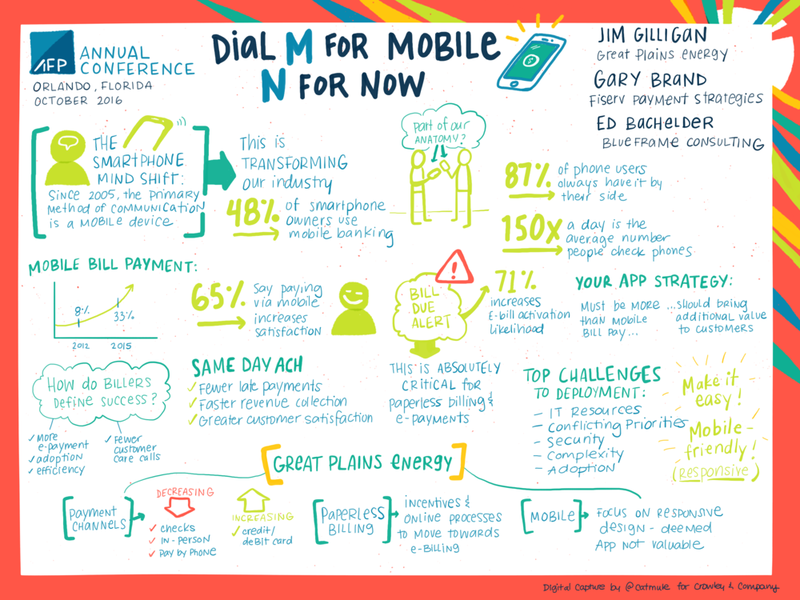 I attended the conference for two days and captured content from eight different sessions. Many people ask how I capture highly technical or specific content that is not my expertise, and it really depends on the presentation. In my experience, the topic is not what makes things challenging, it’s the flow and format. I had a great conversation with Ira Apfel on all things visual and business. 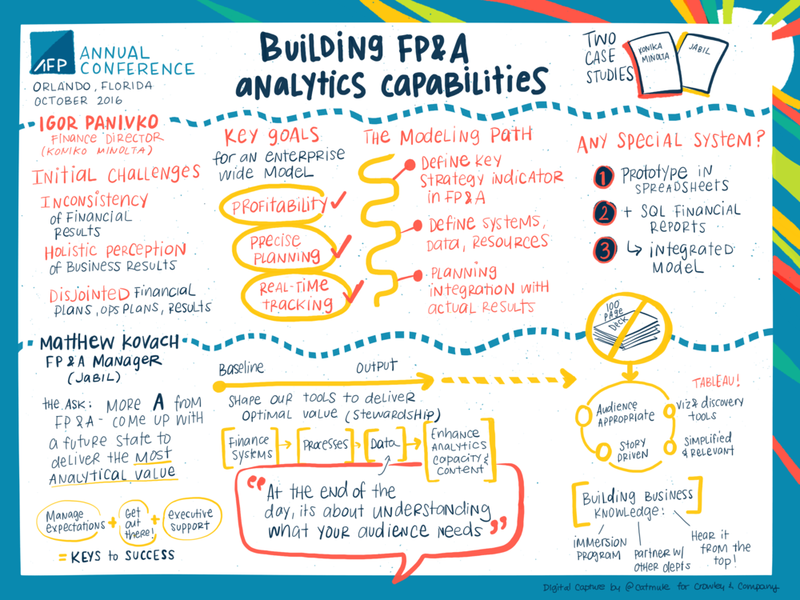 We cover the basics of graphic recording, how I got to where I am today, my approach to visualizing data, and how these concepts can apply to anyone in business. Have a listen and let me know what you think.